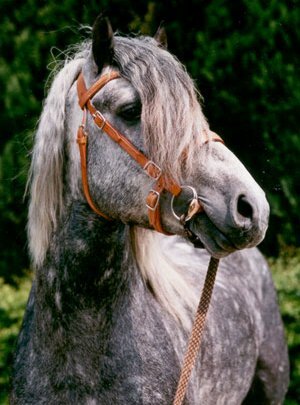 Byelorussian Harness horses were developed Dole, Ardennes, and Brabancon horse breeds. The Dole influence was the strongest. Long-term inter breeding of various generations of crosses created a breed that is very suitable for work in wooded areas with swampy and sandy soils. They are a medium-sized horse with the characteristic conformation of a harness horse. Their head is not large, their forehead is wide, their neck is well muscled and average in length, their withers are average in height and length, their back long, flat and often slightly dipped, their loin is flat and short, their croup is wide, nicely rounded and well muscled with a normal slope, their chest wide and deep. Their limbs are clean and solid. Their mane and tail are thick but their fetlock tufts are small. They are found in dun, bay, chestnut, and light bay.